Two innovative aerospace seats envisioned with Dassault Systèmes’ 3DEXPERIENCE platform and the industry solution experience “Passenger Experience” / The Retro Seat saves 50 percent of original seat weight, while the cutting-edge bionic Aero Seat offers an all-new passenger experience. 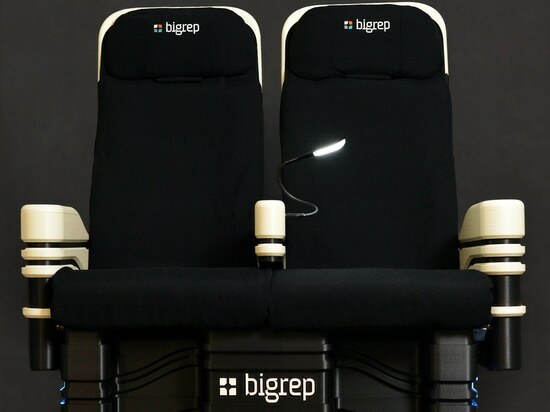 Hamburg / Germany, April 1, 2019 - BigRep, the global leader in large-scale 3D printing (FFF segment) for industrial applications, will unveil the world’s two first fully 3D-printed aerospace seat systems with Dassault Systèmes at the Aircraft Interiors Expo in Hamburg (April 2-4, 2019). Both prototypes have the potential to re-define aircraft interiors’ design as well as the passenger experience in air travel. Opening a new dimension for Additive Manufacturing (AM) in the aviation industry, the prototypes, designed by NOWLAB, the BigRep innovation consultancy department, and manufactured on BigRep’s large-scale 3D printers, include the Retro Seat, an original airline seat which has been refurbished by using AM, and the Aero Seat, a bionic passenger seat. Strikingly elegant, both seats present visionary design unprecedented in 21st century aircraft interior composition. Both full-size seat systems were created using Dassault Systèmes’ 3DEXPERIENCE platform and the industry solution experience “Passenger Experience”. Engineers use 3D printers to produce optimized parts by leveraging the 3DEXPERIENCE platform to design and simulate highly optimized parts based on space allocation, loads, constraints, manufacturing processes, and multi material requirements. “3D printing is in the process of re-defining the aviation industry, and we’re ready to fly! 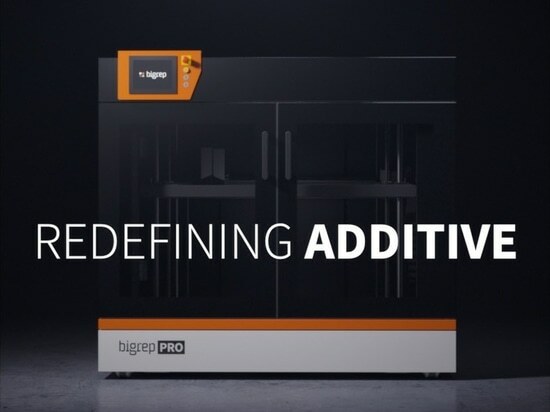 Our new 3D printer PRO offers an unprecedented level of precision, quality and speed, enabling us to use the high-performance, innovative printing materials the aviation industry requires.” said BigRep CEO Stephan Beyer, PhD. BigRep and Dassault Systèmes will show how AM can be applied to any part of the cabin – from seat to armrest to sidewall panel as well as how AM enables design of individual end-use parts starting from lot size one to small series production. Making full use of the unique technical possibilities of 3D-printing, the Retro Seat offers groundbreaking high-tech features such as inductive charging that permits wireless charging of smartphones. The back of the headrest is equipped with “Bring your own device” outlets to connect to tablets or other devices as well as multiple USB ports. The seat is also embedded with blue LED light panels, creating ambiance during night flights, while the arm rest is equipped with a smart cabinet solution to safely store laptops during takeoff and landing. The Aero Seat presents a game-changing passenger seat for autonomous driving technology. 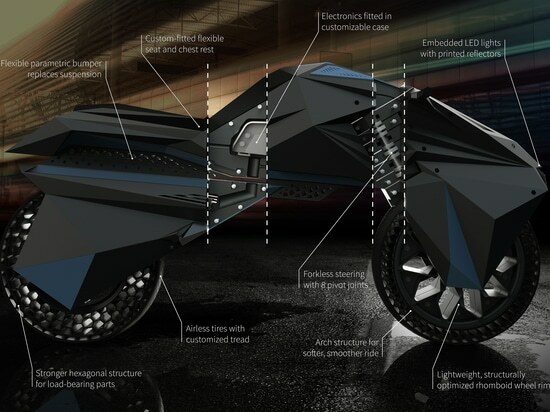 This exciting seat shell design has an almost bionic touch, look and feel as the seat will adapt to the driver’s or passenger’s individual body shape: Using a 3D body scan prior to the seat production, the shell will provide its users with an unprecedented level of comfort to reduce stress and physical discomfort during long trips. Last but not least, flexible materials are being used for printing seat cushions (incl. softness factor). 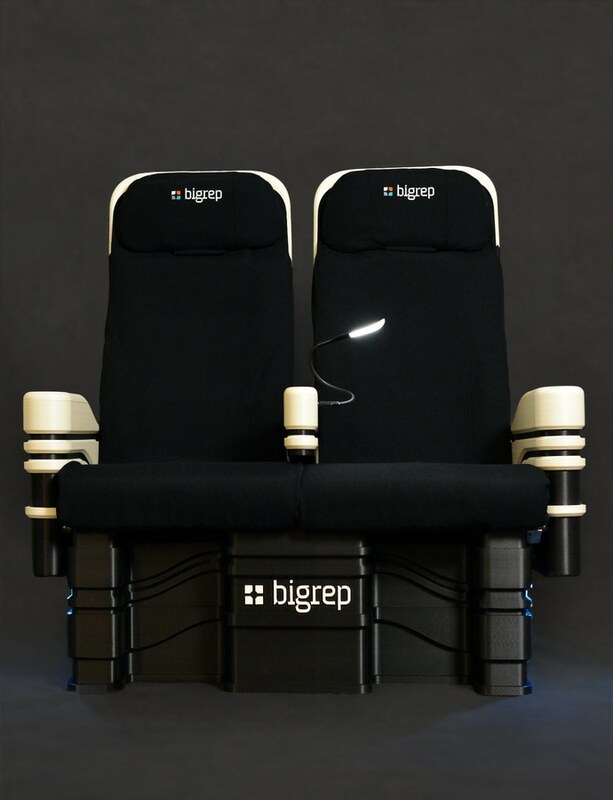 Both designs are not a simple adaptation of existing, convectional airline seat frameworks, but were specifically envisioned for large-format FFF technology, setting a benchmark example for truly creative design by breaking the limits of traditional engineering. For example, both seats have a fully integrated design, i.e. any bearings or electronics can be integrated during the printing process. BigRep will be present at this year’s Aircraft Interiors Expo at Dassault Systèmes’ booth 6C90E in the Hanse Pavilion. 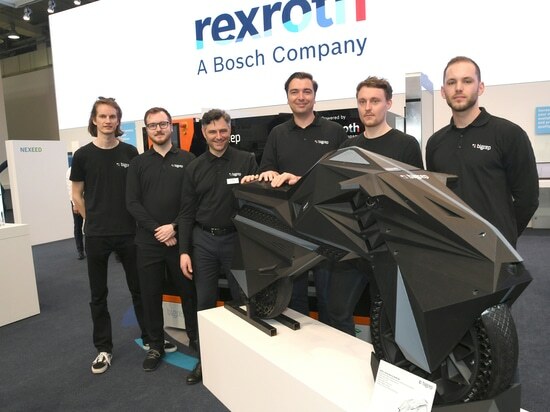 Hannover Messe over but we’re still buzzing with excitement, weeks later! For manufacturing environments and smart factories.